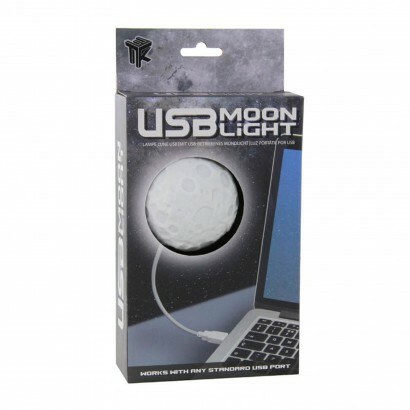 A lunar light to illuminate your desktop giving enough light to distract your eyes from screen glare, the USB moonlight throws light onto your work surface giving your desktop a gentle glow. Powered by USB, this lunar light hovers above your laptop on a flexi neck lead making a very cool laptop gadget. 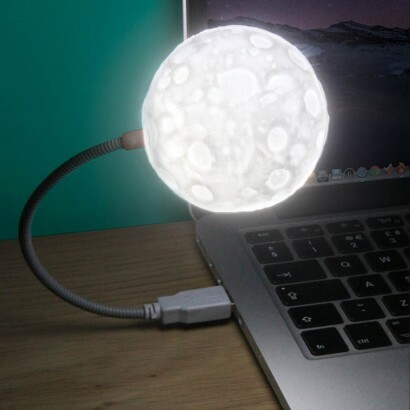 With a textured, cratered surface and a soft white glow, this USB light captures the moon and brings it to your very own workspace!